Are you familiar with the baked or fried fruit pies at convenience stores and some fast food places? They are a tasty snack, but are not the most healthy due to the ingredients that are used. 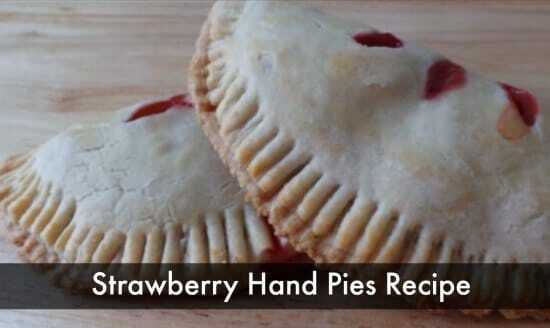 A better solution is to make your own snacks like strawberry hand pies. Making strawberry hand pies is a multiple step process. You will need to prepare the crust first, before the filling is made. A food processor is used to blend the ingredients for the crust. Once you have the dough for the crust, then you can move onto the filling. A mixing bowl is needed to blend all the ingredients to make the filling for your strawberry hand pies. You can then combine the filling with the crust.